Competition Systems/Kawasaki and Jordan Szoke rolled in to the 2.8 km Circut ICAR in Mirabel Quebec early in the week to get some much needed test time on their new Kawasaki ZX10. This would be the very first round of the newly managed Canadian Superbike series and the team was anxious to get some laps in after their last test in Jennings GP in April. Szoke watched in dismay from under the Kawasaki canopy as raindrops fell during each and every early test session. “It’s a serious gamble to go out to test in the wet here at ICAR.” says Szoke. “The track is laid out on an airport concrete surface with painted lines and guardrail, it makes for a pretty sketchy session because it is very (very) slippery, one mistake and you’ll end up in the guardrail.” With just one short dry practice session on Thursday before Superbike Qualifying on Saturday Szoke knew he had his work cut out for him. Using Qualifying to test some last minute changes the Competition Systems Team worked furiously to assist Szoke to achieve a fastest lap of 1:23.458. With Superpole cancelled, Szoke managed to secure 2nd on the grid for the race. “I’m pretty happy with how qualifying went, although I am really frustrated with the weather, we really needed to put some more testing time in.” With raindrops still falling on Sunday Race day, Szoke opted for one wet session first thing in the morning to get one bike set up for rain conditions, “just in case”. With rain delays dampening everyone’s spirits, Superbike Race #1 of the CSBK series was finally underway late in the afternoon under dry conditions. Szoke got a great start into the treacherous first corner of the ICAR circut, and settled into second place with lap times steadily dropping to catch the race leader when disaster struck. “With our limited testing time due to the weather, we took a gamble with the set-up and made come changes for the race which turned out to be a catastrophe. That was the ride of my life and I am really lucky to be here on the podium and snagging some very important points.” says Szoke. Jordan finished a hard fought 3rd place during the 20 lap 56 km race. 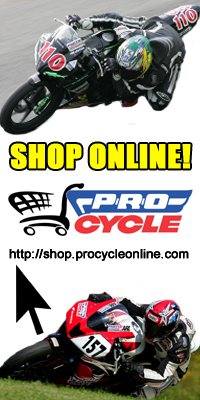 Szoke now sits in 3rd place in the 2011 Pro Superbike Season Championship Points Standings with 6 rounds remaining. Watch for Szoke furiously defending his #1 plate during Round #2 of the CSBK series Round 2 & 3 doubleheader weekend July 1-3 at Shannonville Motorsports Park. Posted on June 2, 2011, in CSBK - Canadian Superbike Series. Bookmark the permalink. Leave a comment.